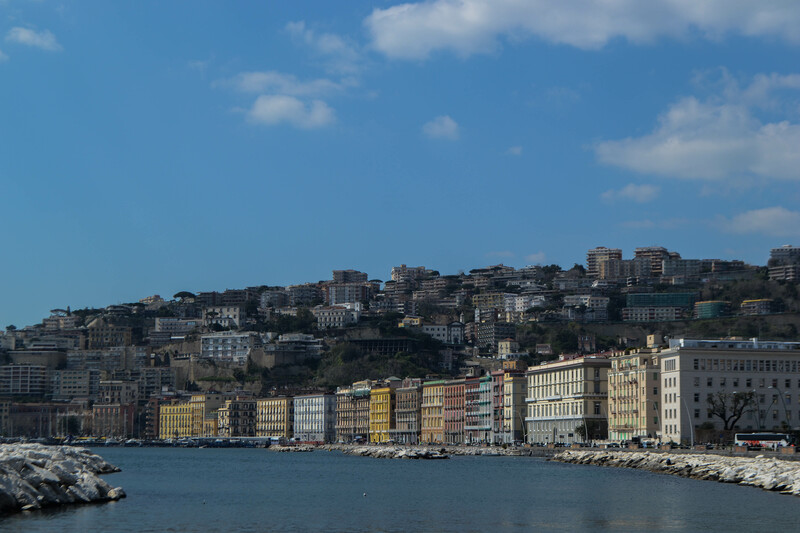 Team Purple’s first stop for Europe on Track began with the famed Napoli warmth; as we arrived while it rained in our welcome and our host parked his car, a random man in the parking lot was so excited to see us that he immediately offered us coffee! The next three days in this beautiful city were full of the same love. On the very day as we arrived, we went on to deliver a workshop at the Dialogue Place, which is a social incubator for young startups and enterprises. Newly found enterprises receive consulting and competitions are often hosted to incentivise startups to grow. Our workshop, titled Sustainability Within Enterprises included an introduction to the basic concepts of climate change and sustainability and they later took part in an interactive activity where they were asked to design a sustainable social enterprise. The participants opened up as Hanna discussed ‘linear and circular economies’ with them, and how a circular economy is far more sustainable. The workshop participants then presented their businesses which were created keeping in mind a good or service that tackles a sustainability goal, while being a viable business at the same time. We went to bed exhausted but content. The next day was as busy as the first one, with a workshop about smart cities, with the architecture students of the university. After a short introduction of AEGEE and Europe on Track, we went on to present the workshop, discussing about smart cities and climate change, and how smart cities can be effective tools to tackle the very pressing issues of climate change. 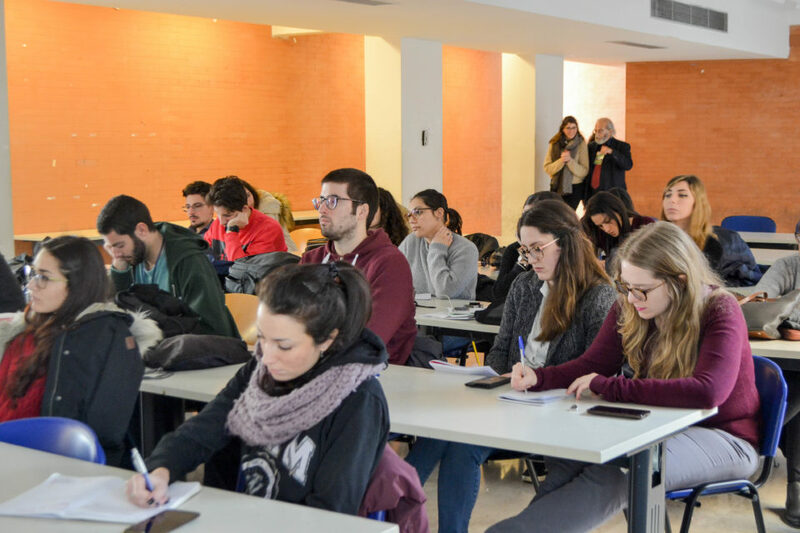 The participants were engaged in a round of discussions where they described the structure of Napoli and why it is not a smart city, as well as a purpose of a smart city and how it can help overcome climate change. The interactive activity brought out the best of their opinions: they discussed several key issues like who takes decisions in the planning of your city, how the public transport of your city can be improved, and how its design can be made more environment friendly. But in turn, we felt our lives were being touched as well! Our host and his parents were extremely kind and wanted to know more about us and our lives, and treated us to home made ragu and pasta with fresh mozzarella cheese and salad, for a true Italian experience. We also had the overwhelming pleasure of eating margherita pizza in Napoli, the city from where the pizza originated- as true as a pizza can be! Food dominated most of our discussions and when Youssef attempted to add vinegar to the pasta, their horror-struck looks were enough to say it all We were taken around the city by the local organisers on bikes, to promote sustainable transport, but also so we could do see a bit of the city before we move on to the next stop! We biked through the historical centres, along the seaside, right up to the castle from where we could view the island of Capri and the Amalfi coast. The city was bathed in sunshine and it was just the right mix of fun, friends and good feelings, and when it was time to say goodbye, it was the last thing we wanted to do. 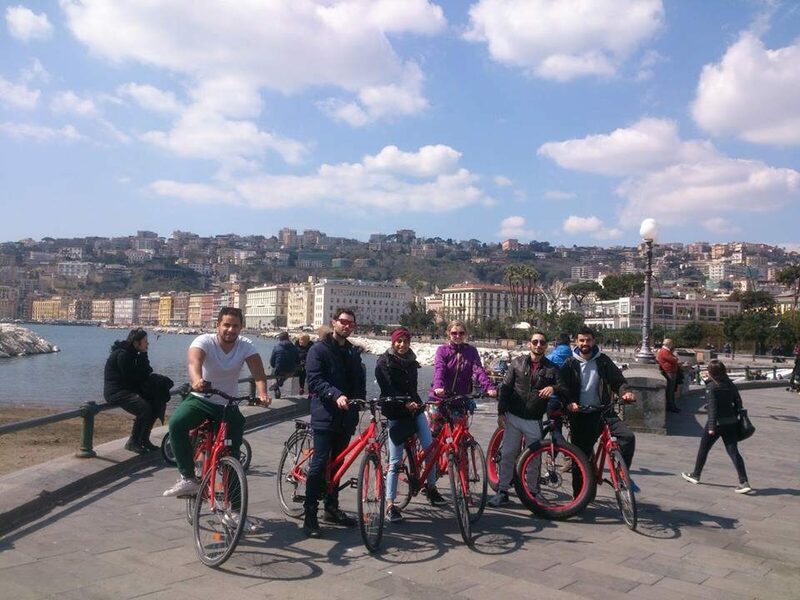 The Italian ways of life are typical and beautiful, and we are already looking forward to our next stops in Italy but for now, we feel blessed to be the receivers of true Napolitan hospitality from AEGEE-Napoli!